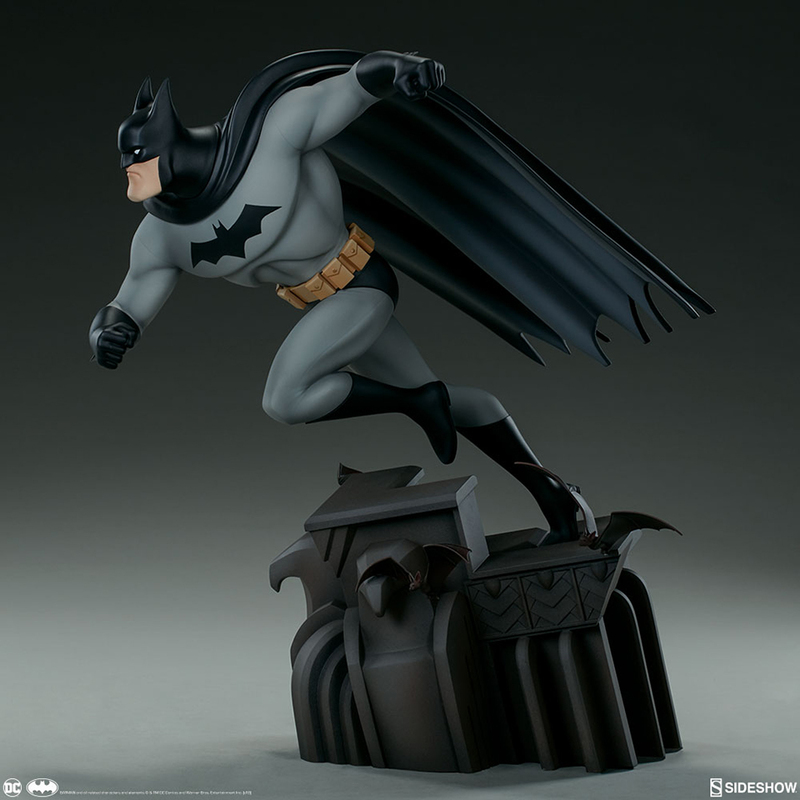 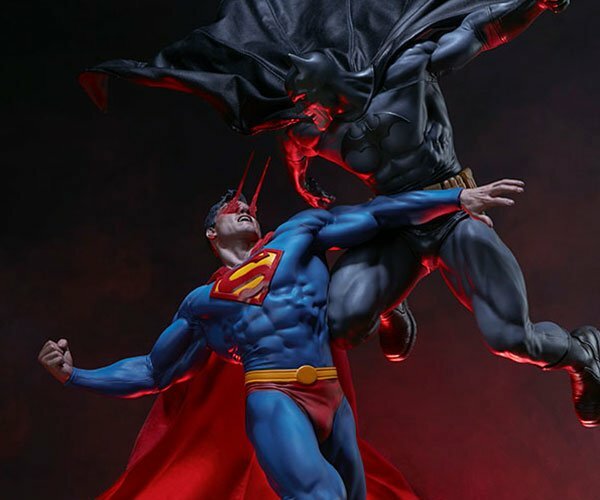 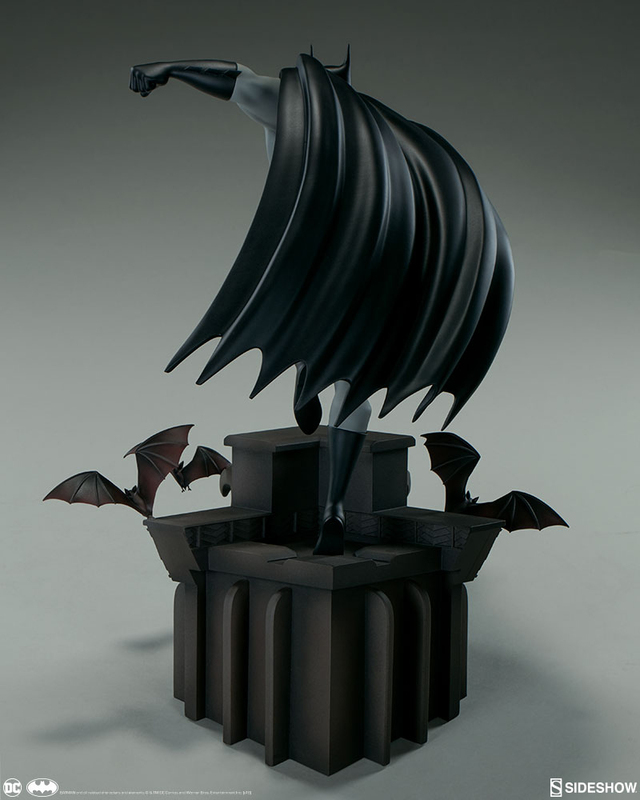 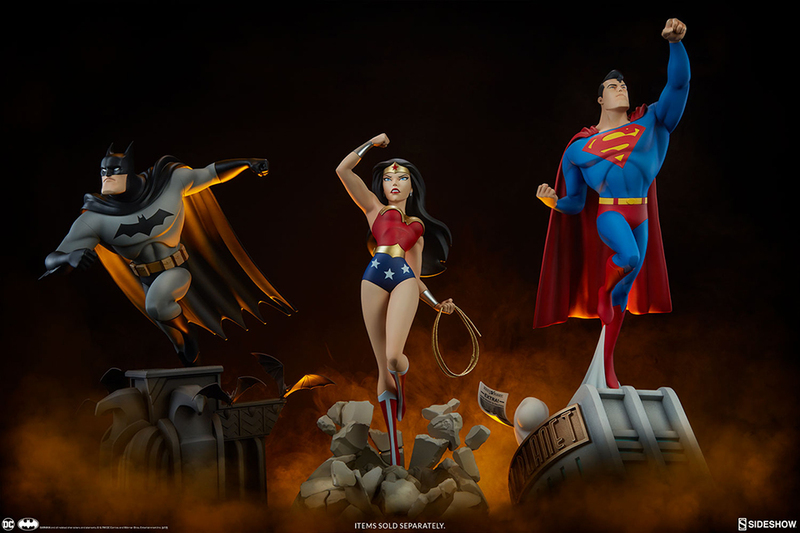 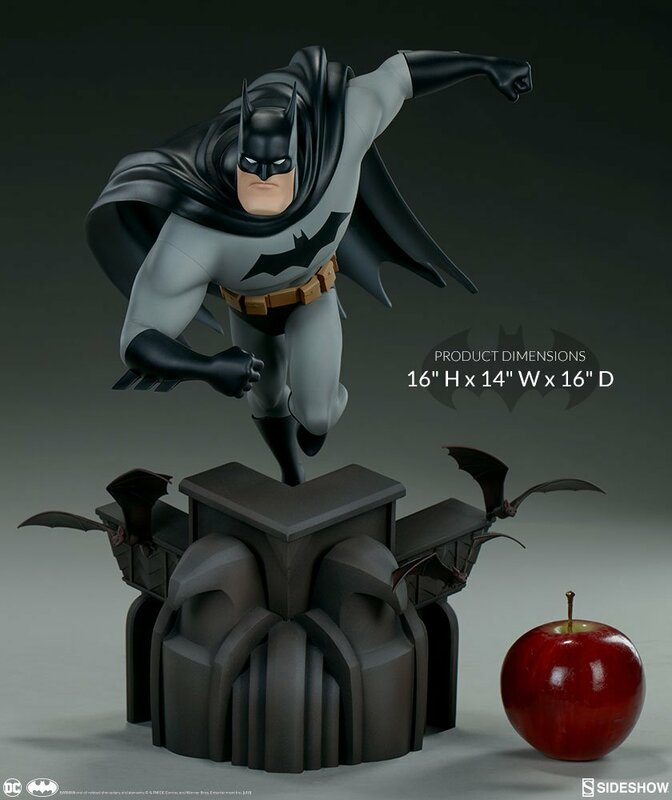 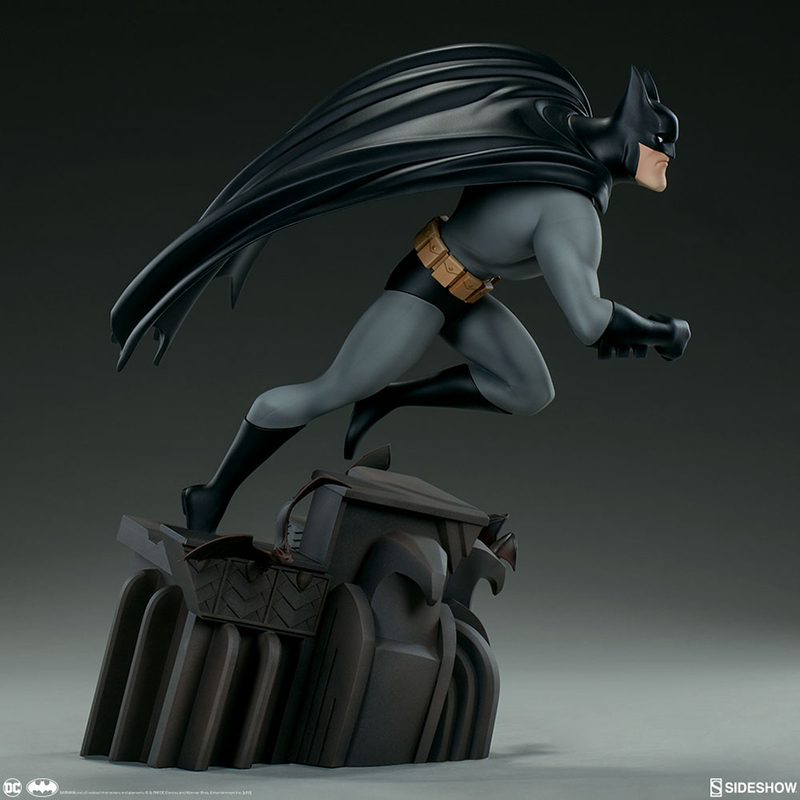 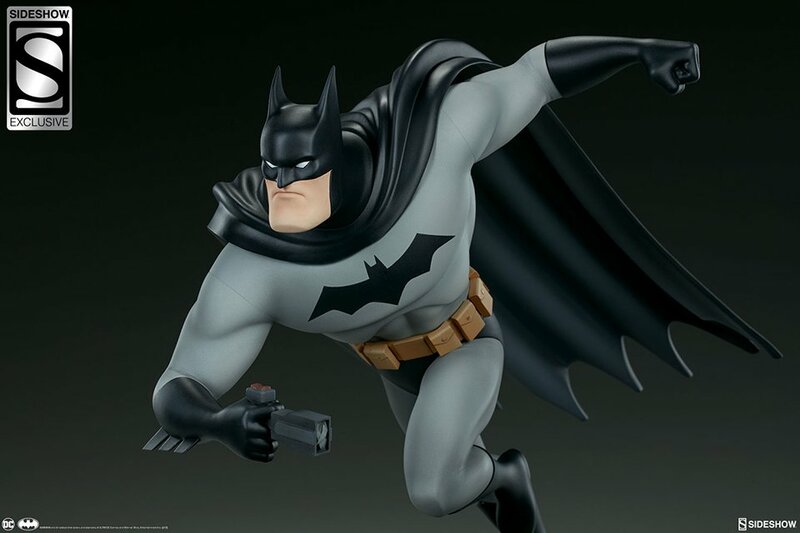 Sideshow Collectibles is making a trio of statues based on Bruce Timm’s iconic designs from the DC Comics Animated Series shows. 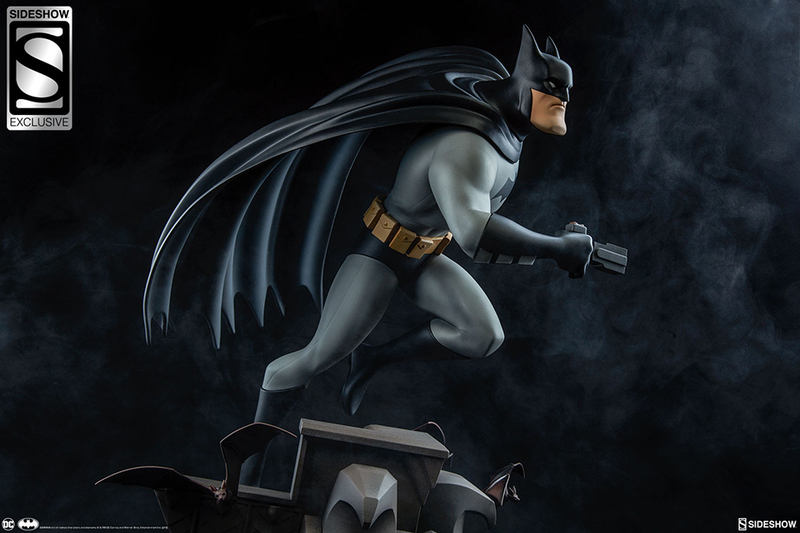 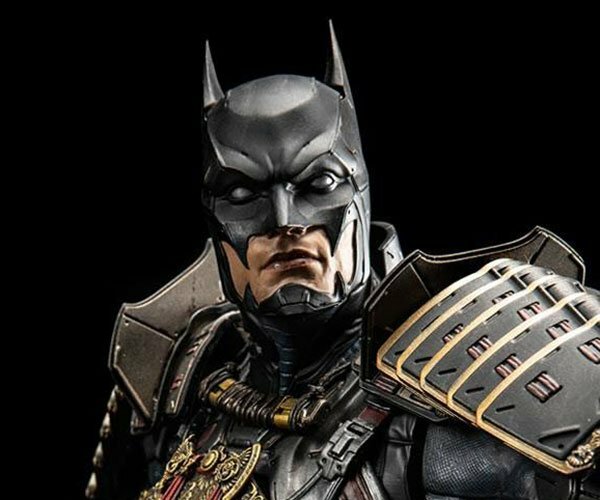 First up is the square-jawed Batman in his black and gray costume. 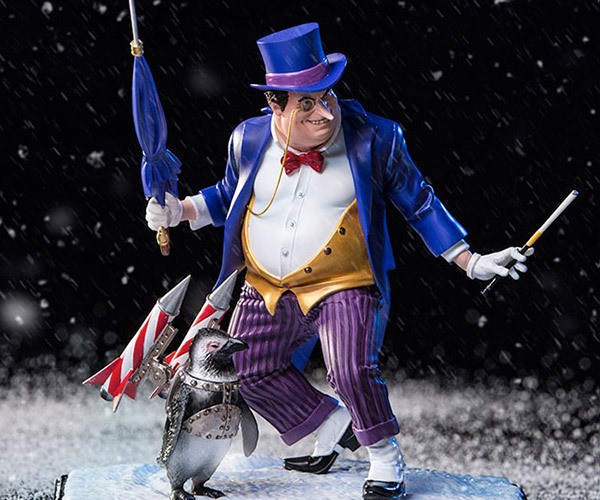 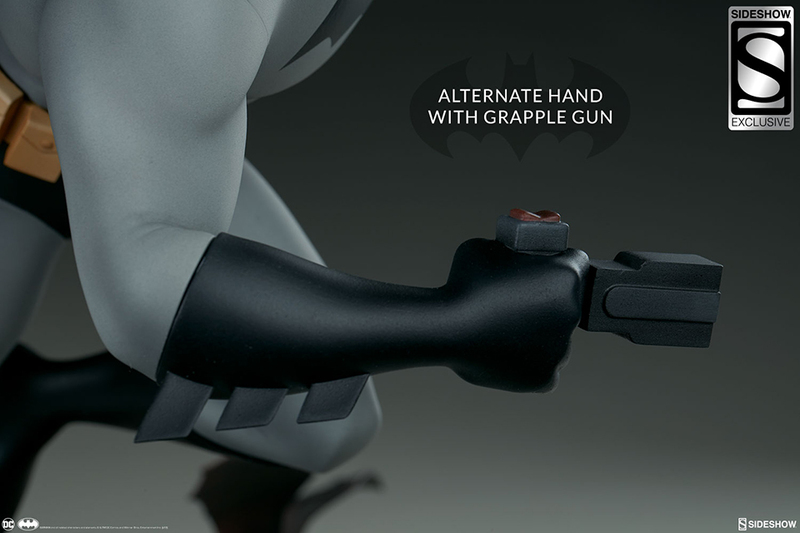 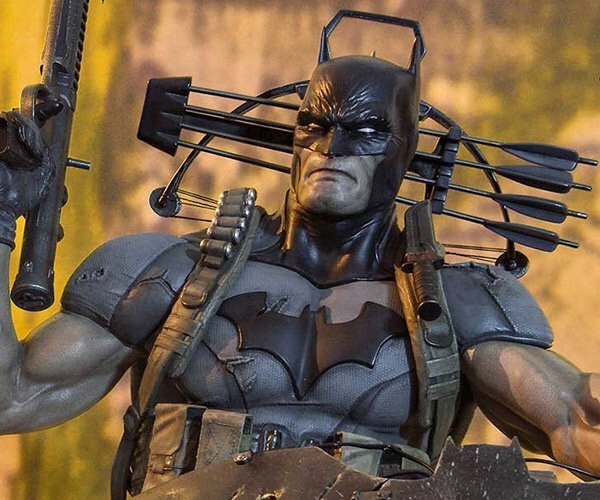 The 16″ tall statue comes with a swappable hand with a grappling gun.